On March 2, the citizens of Anguilla celebrate a public holiday, James Ronald Webster's birthday. It honors the leader of the Anguillian Revolution and two-time Chief Minister of Anguilla. Anguilla was first colonized by English settlers. During the early colonial period, it was under the administrative control of Antigua, but in 1824 it was placed under control of Saint Kitts. In 1967, Saint-Christopher-Nevis-Anguilla was granted full internal autonomy. Many Anguillians objected to political dependency from Saint Kitts. As a result, the Anguillian Revolution broke out. It was led by James Ronald Webster. The Saint Kitts police and officials were forced off the island, and Webster became chairman of the Anguilla Island Council. The goal of the revolution was independence from Saint Kitts and Nevis, not independence per se. 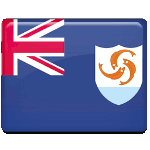 Therefore Anguilla eventually became a separate British colony (now an overseas territory). Webster was designated Chief Minister of Anguilla, i.e. the head of government. In 2010, Webster's birthday (March 2) was declared a national holiday to commemorate his contribution to the territory's development. It has been celebrated each year since then.